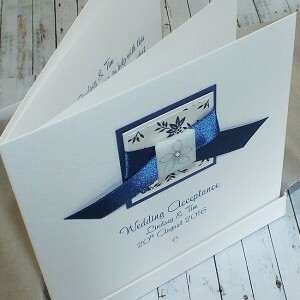 Our handmade wedding acceptance cards can all be personalised with the names of the bride and groom. 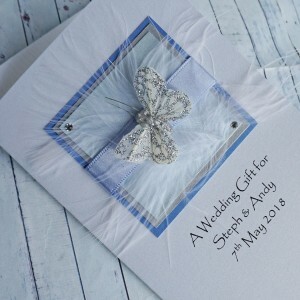 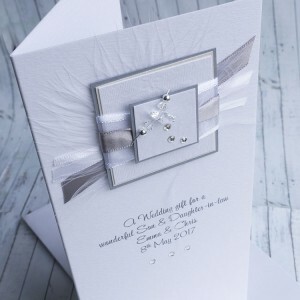 The beautiful cards make a lovely keepsake for the bride and groom at the same time as accepting your wedding invitation. 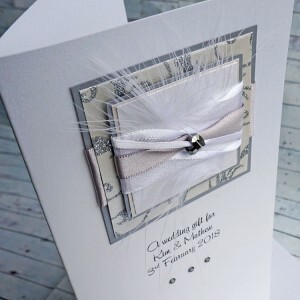 Cards can also be personalised 'with regret' and can be made to suit a wedding day or evening acceptance. 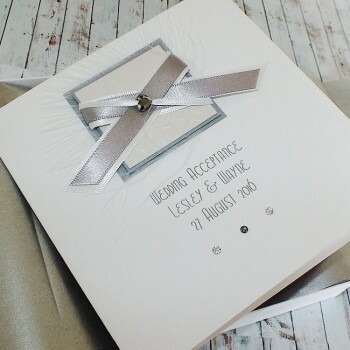 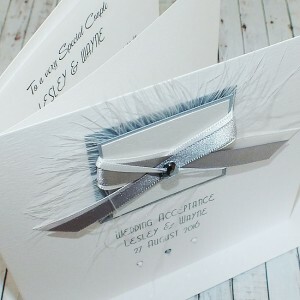 A pretty personalised wedding acceptance card in silver and white, with satin ribbons and a beaut..